Jonathan Liew has been appointed the new chief sports writer of The Independent. 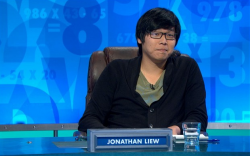 Liew, who has worked his way up the ranks since joining The Telegraph as a graduate trainee in 2008, takes up his new position in October. The 31-year-old replaces Ian Herbert, who has joined the Mail as a sports writer after 18 years at the Indy. Liew’s imminent exit comes as the Telegraph outsources some of its subbing operation to the Press Association and following the departure of 2015 SJA Young Sports Writer of the Year Daniel Johnson, who was their motor-racing correspondent. Liew, who won the same award in 2011, will be employed by the Indy and not the i or The Standard.